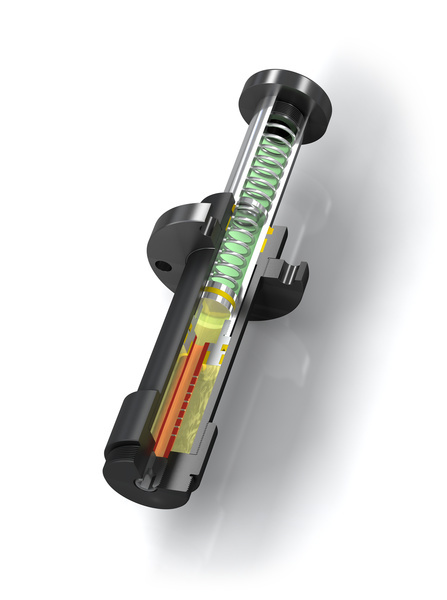 Reduced return forces: The ACE safety shock absorbers from the EB-Family offer internal system seals, large sized piston rod bearings and the maximum energy absorption for emergency stop applications. However, an integrated spring package in the robust shock absorber body makes sure that the return forces are reduced much to a fraction of those in the CB-Family. The characteristic curve or damping characteristics of the maintenance-free and ready-to-install EB models is individually adjusted specific to the customer and to the respective application, just like all ACE safety shock absorbers. 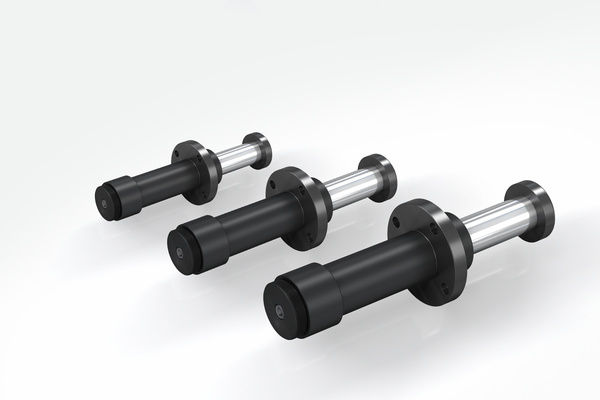 These safety shock absorbers reliably perform their services in crane systems and in numerous heavy duty applications, even if the power fails, because these hydraulic machine elements are autonomous braking systems. Filling pressure approx. 0.55 bar to 1.1 bar. 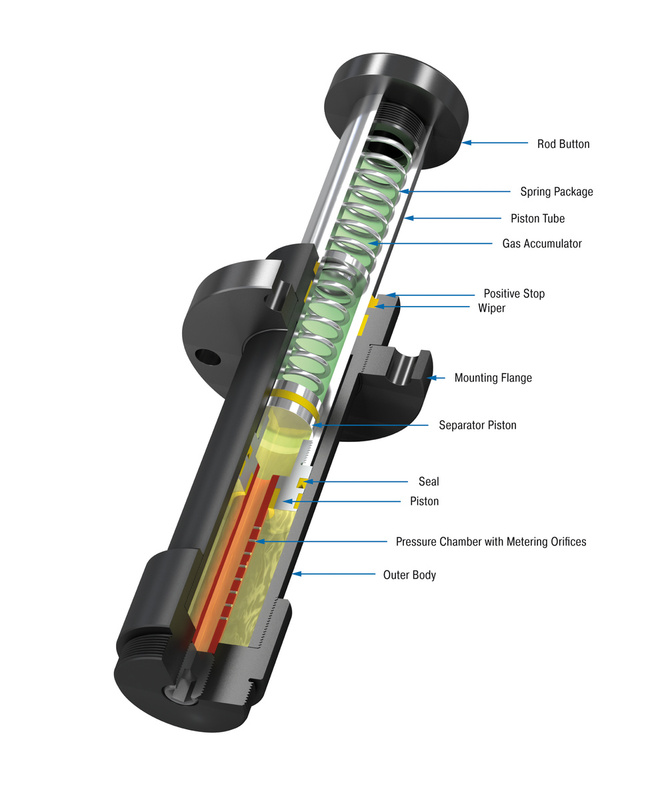 Rod return by integrated nitogen accumulator combined with additional return spring.